Hi, Kate Berube! Thank you for dropping by to share the adorable cover for My Little Half-Moon and to finish my sentences. I greatly appreciate it. Hi John! Thank YOU so much for having me on your lovely blog and for all you do to share and celebrate books! 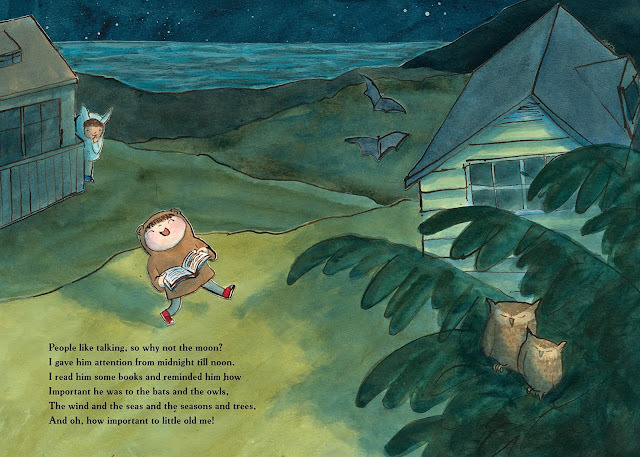 The cover illustration for My Little Half-Moon was made using collage (as were all the rest of the illustrations in the book.) This is the first book I’ve illustrated using collage. It really freed me up and gave me flexibility and space to be messy and experimental. Which was fantastic, as messy and experimental is the most fun kind of art to make. Douglas Todd Jennerich and I are kindred spirits. When we met for the first time (just last week!) we discovered a number of small details in the book about which we both have the exact same strong opinions without ever having discussed these things during the making of the book. Creating a book with a complete stranger is such an interesting experience. Both people work as hard as they can to create a great book and the combination of the efforts makes something new, which neither person could have come up with on their own. It’s a kind of magic. The moon is a wonder. It’s one of the many parts of the everyday that us adults are usually too busy to notice, but that children pay attention to. I’m so grateful that making My Little Half-Moon focused my thoughts on the moon for all the months I spent working on it. During that time I found I was always aware of what phase the moon was in, I took endless blurry cellphone photos of it and there were quite a few nights I could be found standing in the middle of my street, staring up and making color notes in my sketchbook with a flashlight. 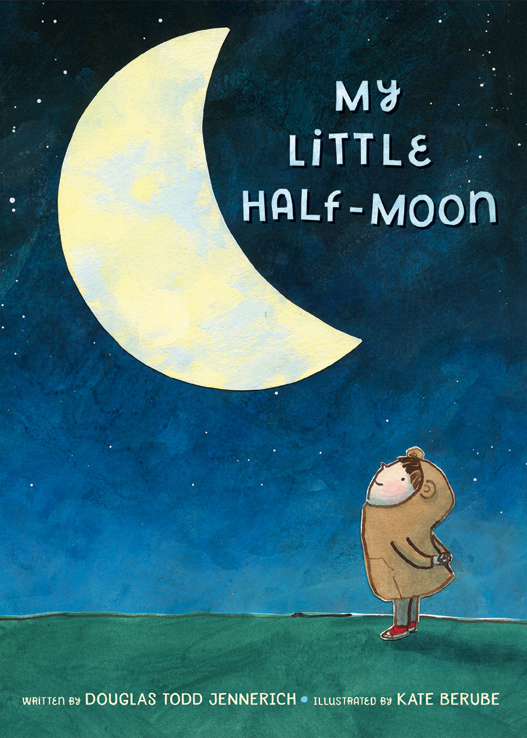 On May 16, 2017, My Little Half-Moon will be released! I’ll be equal parts excited and nervous. I’ll probably want to hide under my bed (which has been the feeling I’ve had on book release day for both of the other two books I’ve made.) The moon will be a half-moon that day - with 24 days left until it’s full again. 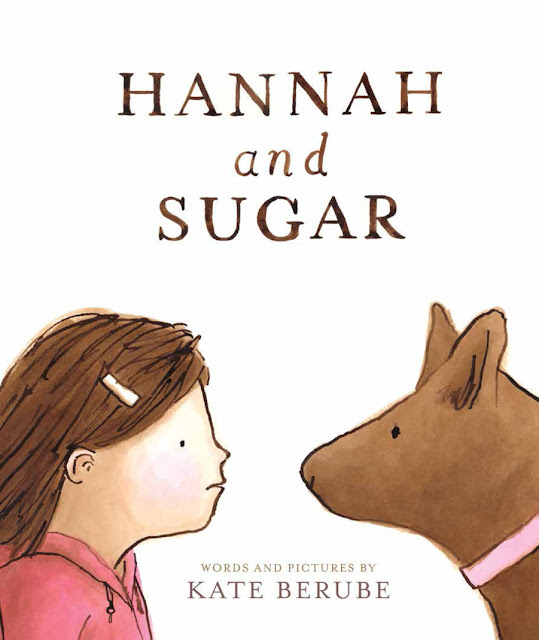 Hannah and Sugar tells the story of a girl finding the courage to do something she finds very scary. 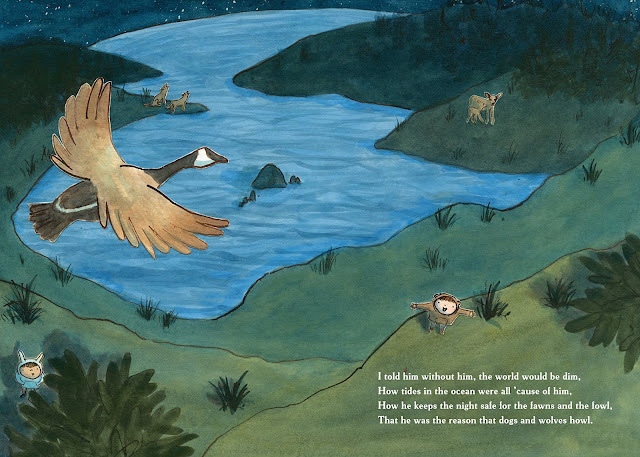 I was inspired to write the story because I was thinking a lot about bravery. I'm scared of doing loads of things but I keep learning the lesson, over and over, that I'm most happy when I regularly do things that are scary. Mr. Schu, you should have asked me what I'm working on now! If you had I would have told you I'm currently writing the follow up to Hannah and Sugar, which is also about facing fears, and I'm illustrating a wonderful story by Megan Maynor about a day at the beach. The world feels a little dark right now so I'm also trying to find some things I can do to help make it lighter. One of which is, I'm creating a card with a message of love I’ll be selling online and in Portland shops. All the proceeds I make from it will go to The Children’s Defense Fund. I’ll be posting it online this week! 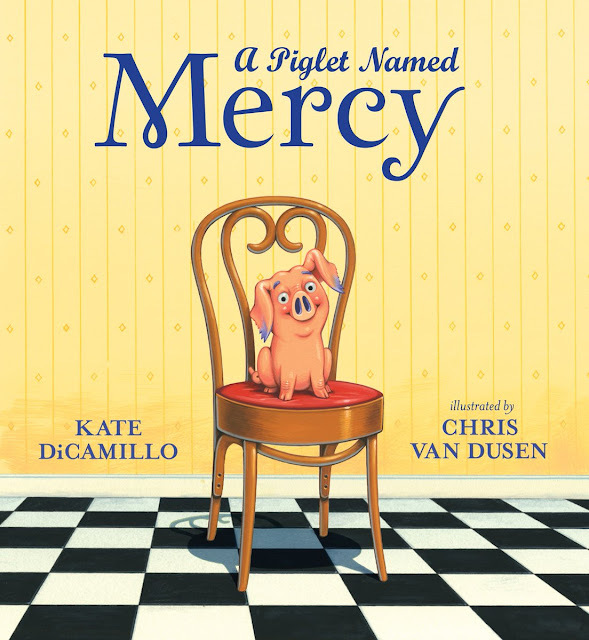 Thanks again for having me and for being a champion of books and reading! Look for My Little Half-Moon on May 16, 2017.